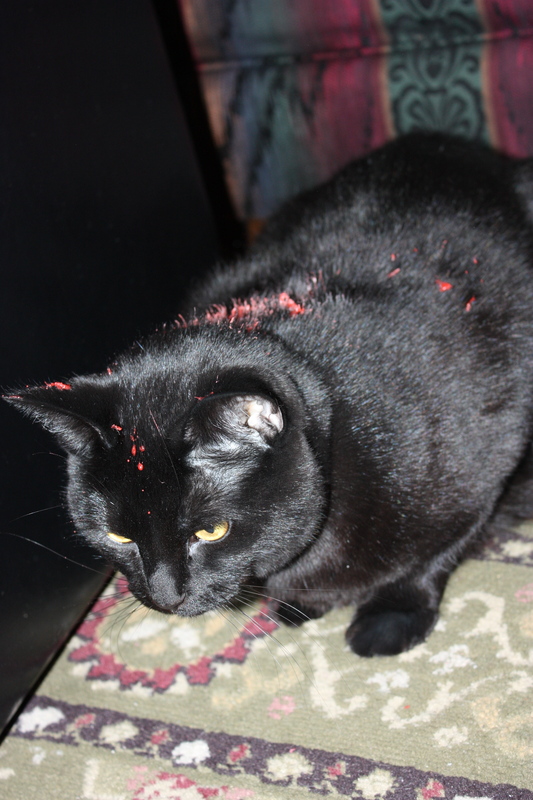 My Messy Manger: Anybody know how to get candle wax off cats? 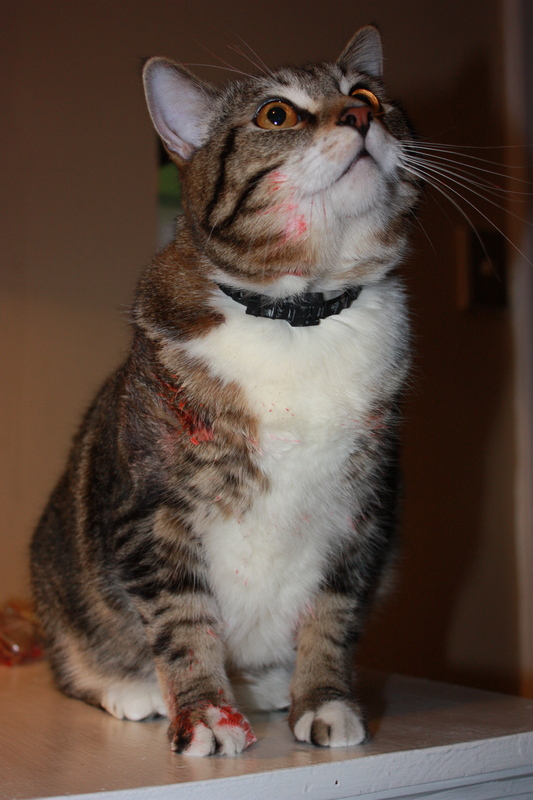 Anybody know how to get candle wax off cats? Seriously though... any ideas on how to get this off of them? I like their radical new look. As a teenager I used to pay a hairdresser good money to make me look like that. Having had something similar happen with my own two cats, I can recommend peanut butter. On the cats, not on toast. Smear it over the wax and it removes it easily, although then you have a new problem - cats that are covered with peanut butter. Vegetable oil works just as well. Be warned, your cats will hate you afterwards, possibly forever. 1. Hold the cat down. 2. Hold an ice cube up to the wax. 3. In about a minute or so, (If you're still holding on to the cat), the wax should be solidified enough to become brittle and break off in pieces. Alas, like the aforementioned helper, be prepared to have a seriously ticked off cat! Our family members have voted our cat the distinguished award "MOST LIKELY TO RUN FLAMING THROUGH THE HOUSE". Remember - you've gotta catch 'em first!